I made my boyfriend a quick, silly drawing on paper with coloured pencil and posted it to him. 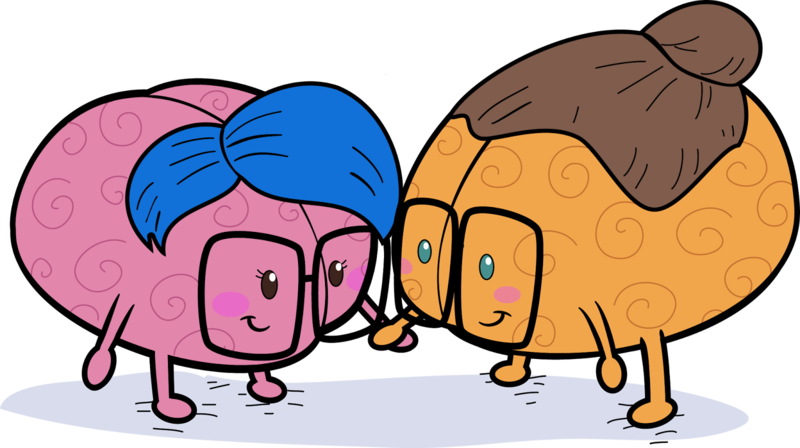 Here we're supposed to be...anthropomorphic cartoon brains with glasses and hair. 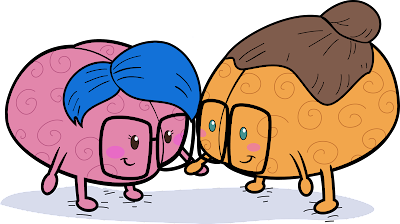 His brain even has a man bun! He apparently likes it so much that he said that he wanted to wear the design on a shirt, so I redrew this in Illustrator and made it into a t-shirt via Zazzle for him. Hopefully he'll get it in a few weeks! This is supposed to mean something but to be honest I totally forgot what inspired it. Knowing myself and how weird I can be sometimes, I'm sure it was something about how we connect well on an intellectual level. That's the most normal explanation I can think of.